Adam Jackson believes in the power of a good argument. Learning to be a skilled debater changed almost everything for him, from his political attitudes to his educational path to his career trajectory. As he sees it, debating skills are something that African-Americans especially need. That’s why Jackson, a former nationally ranked college debater, founded the Eddie Conway Liberation Institute at Morgan State University. He wants to train young African-Americans from around the country in the art of debate with a focus on policy issues, so that today’s debaters will be tomorrow’s policymakers, activists and analysts. “For black students, we usually don’t get access to same types of networks that would give us those jobs,” Jackson says. His parallel goal is the establishment of a rejuvenated debate team at Morgan State that Jackson expects will be the first in over half a century to qualify for the National Debate Tournament. “Policy debate is the best training tool for students of color and the most rigorous activity they can do,” Jackson says. The Conway Institute is unusual among debate camps for its political bent, emphasizing “black cultural identity and social justice.” It is a project of Leaders of a Beautiful Struggle, a Baltimore-based advocacy group Jackson co-founded that pushes for black self-empowerment and often views policy issues through a racial lens. Jackson believes that “you can’t have an intelligent debate about public policy in this country unless you talk about racism and white supremacy.” But he also says the Conway Institute is not out to enforce an ideology on participants but to teach people to be better thinkers. The summer camp, a collaborative effort with the Institute for Urban Research at Morgan State, had 40 participants in its first year (a number Jackson hopes to triple), about half from Baltimore. Attendees learn from nationally prominent debaters how to improve their reading, speaking and research skills. Alternative forms of debate incorporating poetry and rap music are explored. The program also includes field trips and community-oriented events. Jackson, 26, who grew up in West Baltimore and now lives downtown, joined the Baltimore Urban Debate League while a student at Digital Harbor High School. He received a debate scholarship to Towson University – the school has produced several national debate champions in recent years – where he majored in social justice and is now doing graduate work in geography and environmental planning. Jackson says the program’s cost, $2,000-$3,000 for three weeks, is far less than debate camps of similar caliber, and notes that participants’ local debate leagues are often able to cover the expense. His long-term goal is for revenue from the camp to provide funding for Morgan State’s debate team. Adam Jackson is forging ahead on multiple fronts. Jackson, a winner in the second round of the Warnock Foundation’s Baltimore Social Innovation Journal awards, almost doubled the number of attendees at this summer’s Eddie Conway Liberation Institute. The program, which trains students in debate skills and cultural identity development, welcomed 33 students and, Jackson says, improved its programming and operations over its inaugural session in 2013. The bigger development, though, is that Jackson is close to launching the return of competitive debate at Morgan State University, which hasn’t fielded a team on the college debate circuit in decades. The Warnock Foundation provided funding that Jackson is putting primarily toward travel and coaching expenses. The new student debate team at Morgan State has been recognized as an official student organization, has identified its first group of potential members, and expects soon to receive formal approval from the university to travel out of state. Leaders of a Beautiful Struggle, the local organization Jackson co-founded, is helping to put the team together. For a long time, Jackson says, his alma mater, Towson University, was “the only game in town” when it came to high-level college debate. Jackson was determined to change that and to show that a historically black university like Morgan could hold its own at the highest levels of competition. 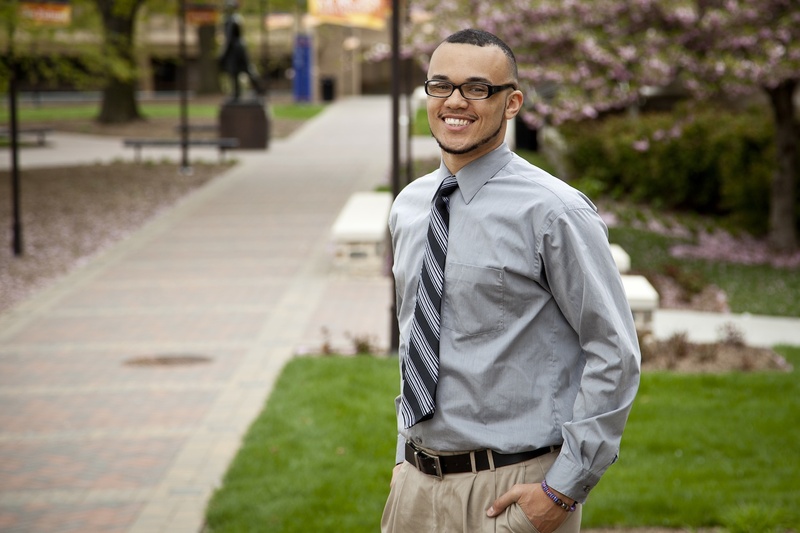 As a young social entrepreneur just a few years out of college, Jackson says having the support of the Warnock Foundation has made a difference for him as he strives to build his reputation. “It’s definitely been helpful in giving validity to what I do,” he says. Eventually, Jackson hopes to see the Morgan debate team move away from being a student club and become either a nonprofit in partnership with the university or – the more common model for top national teams – a faculty-managed program that receives regular funding as a line item in the university’s budget. “That might take a little longer. That’s a conversation we have to have,” Jackson says.